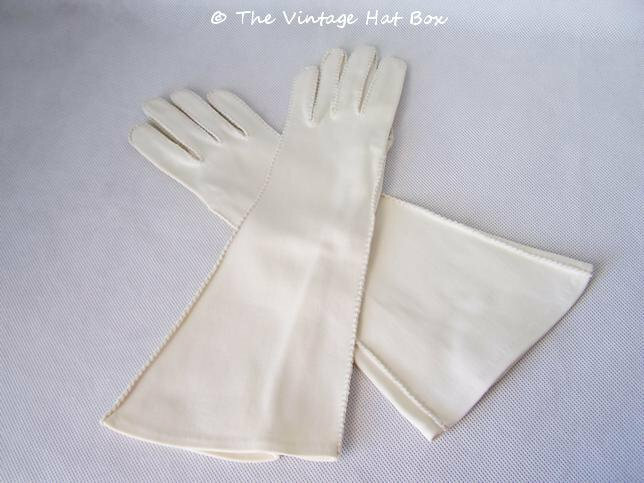 Fabulous hand-stitched pair of vintage 1940's ivory gauntlet gloves in excellent condition. Labeled. 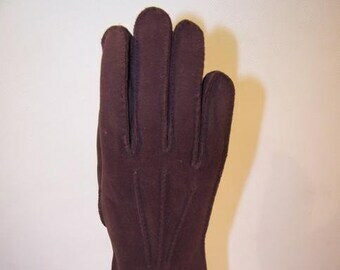 "Wear Right U-Plex Suede Cotton Made in USA Size 6 1/2." See photos. These do have some stretch to them. 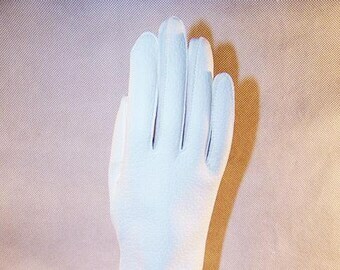 L = 13 inches (33cm).